June, 4th of July week, and Seafood Festival Open! 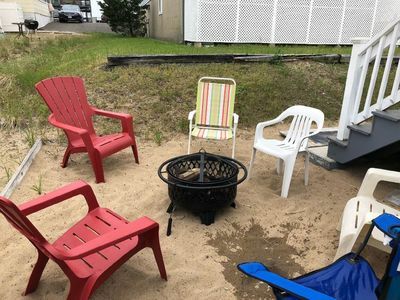 This luxury condo features 2 large bedrooms, 2 full baths, living room, dining room, gas fireplace, central air conditioning and spectacular ocean views. 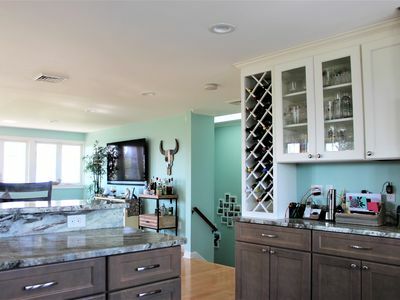 Complete with dishwasher. 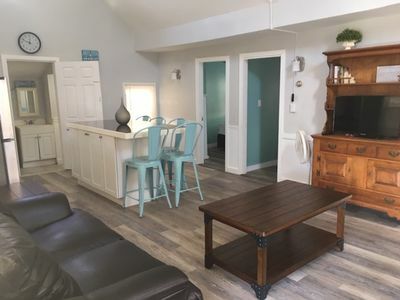 washer and dryer, cable TV, microwave and hardwood floors. 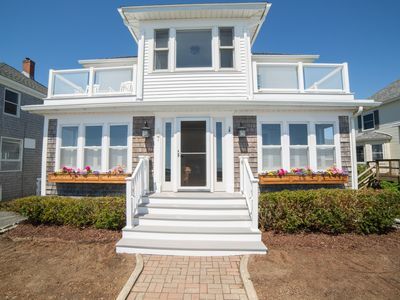 There is a community deck with a spectacular view of Hampton Harbor. 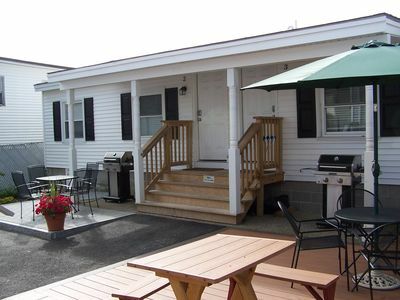 Just 1 minute walk to Hampton Beach fun and activities. 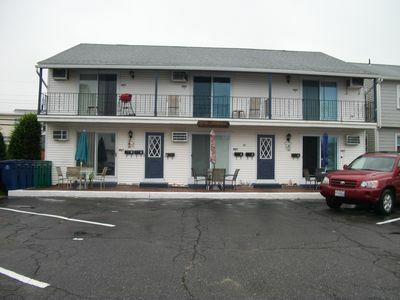 There is a 2 car indoor parking garage and building security. 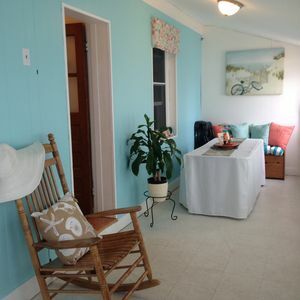 There is also a trash room in the lobby and a storage unit located on the first floor. 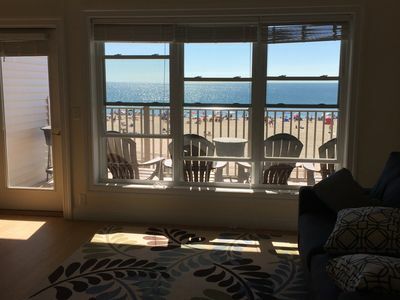 This condo is on the top floor overlooking the ocean. 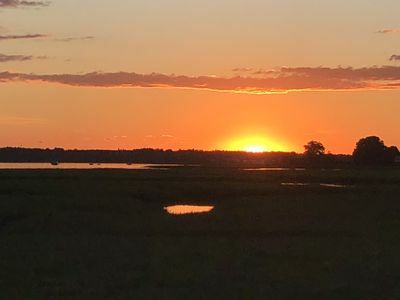 Email us to schedule an appointment to view. 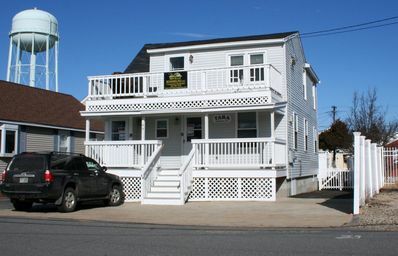 FAMILY HOME AWAY FROM HOME Hampton Beach DOWN - 'Tara' GREAT NEIGHBORHOOD! Perfect location! 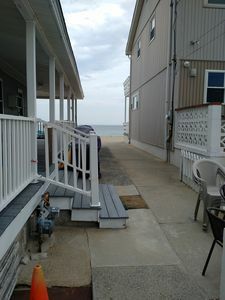 Just forty feet to the ocean! 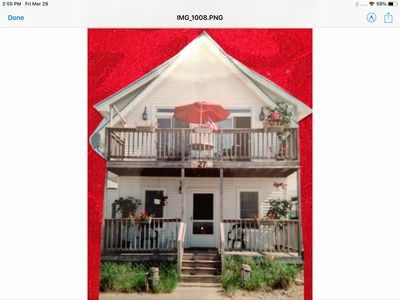 Cozy Shabby Chic Plum Island Cottage Just 75 Steps To Basin Beach! 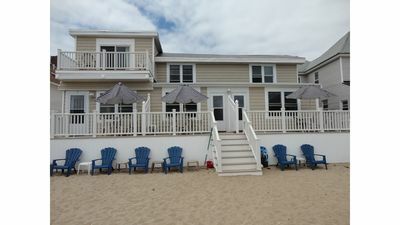 Beautiful 4 bedroom beach house. 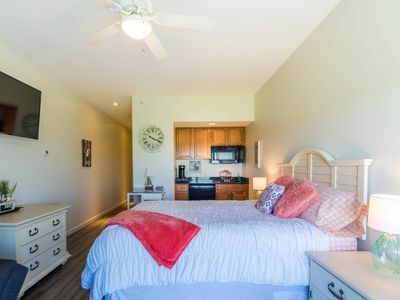 Reduced rate for May/June 2019!! Seafood Festival at Hampton Beach!!! 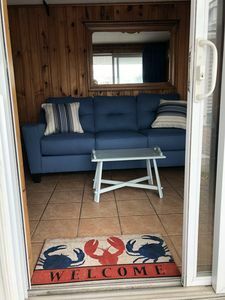 Come stay at TIDEVIEW! Steps to Beautiful Seabrook Beach, NH. Nicely renovated. 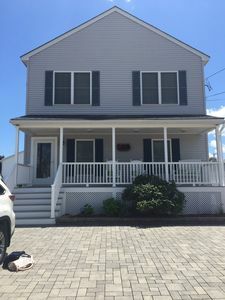 Just Renovated 3 Bedroom House ... Total Update - Great Location! 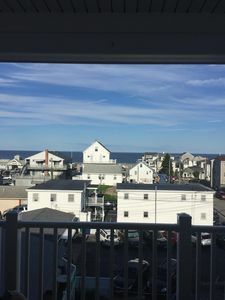 Oceanfront Townhouse with amazing views! 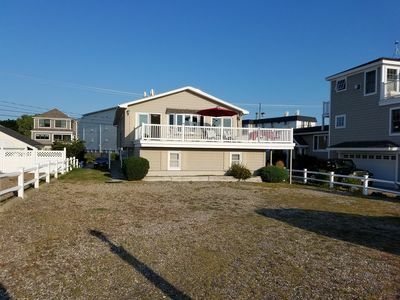 Oceanfront Home with nice sandy beach, with public bathrooms. 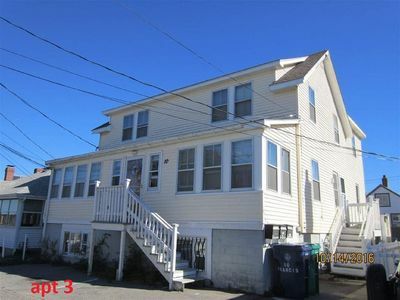 New Hampton Beach Condo ! Beautiful courtyard! The beach..is a 3 minute walk! 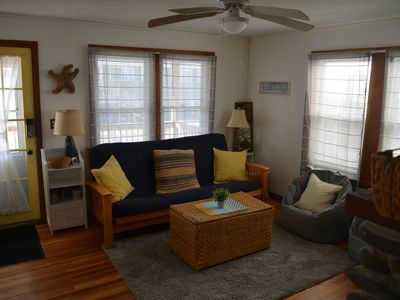 Guests are sure to enjoy a memorable vacation in this fully furnished house . .
5BR Cottage in ♥ of HB | Two Parking Spots, Porch, Grill, TV, + Outdoor Shower!